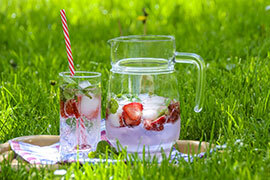 Summer in the garden is all about enjoying the lawn and making the most of your outside space. It’s the perfect place to host garden parties, BBQs, sunbathing and even garden games. It’s been a hot start to summer this year, so don’t worry too much about the damage; your lawn is there to be enjoyed and as long as you follow the advice below, it will bounce back quickly. Not ideal for the hay fever sufferers amongst us, but leave the grass clippings on the lawn after it’s mowed to act as a mulch once in a while. This will help to conserve moisture in your lawn. 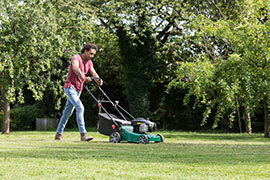 If you are planning on going away on holiday then it’s best to cut the lawn as close as possible to your departure from home. To keep your lawn looking green and healthy during the summer wear and tear, it needs to receive some TLC in the form of feed and conditioning. All lawns need feeding in order to maintain strength. Try Aftercut 3 Day Green, it is the quickest way to a great looking lawn. 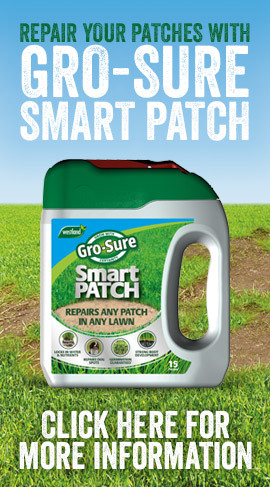 It feeds and conditions for a greener, stronger & healthier lawn without the risk of scorching. 3 Day Green will also protect against hot, dry weather, as a well-prepared lawn that has been properly fed and treated is better able to withstand and recover from drought. It’s always best to remove any obvious weeds from your lawn as they will compete with the grass for moisture, and unfortunately the moss can often win. Aftercut All in One is a triple action lawn treatment that greens and feeds your lawn, whilst controlling weeds and moss. Moss will blacken as it dies. Any discolouration or blackening of the grass is temporary so don’t panic. Just remember to water the granules in well within 48 hours if no rain falls. The lawn can be mowed 3-4 days after treatment. After 7 days the lawn will become greener. 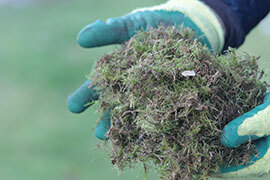 The dead moss should then be raked out between one and two weeks after the lawn treatment has been applied.